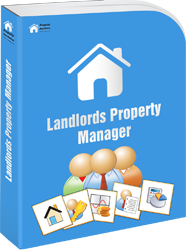 Property Portfolio Software Benefits of Using Software for Landlords! Benefits of Using Software for Landlords! Time management, monitoring income and expenditure and trouble shooting are the three areas of business that can keep professional landlords awake for days on end. Help is at hand, however, in the form of good property finance management software. If it’s chosen well and used to its full capacity it can take the strain whilst at the same time it frees up more of your valuable time and money. Let’s look at the time management issue first. Good rental income tracking software can speed up your accounting processes. Once data has been entered in it, it can be stored and viewed in report form. These free landlord reports are versatile and you can use them to manage all important cash flow. These features will quickly give you the management information that you need freeing up time that you can better spend looking for new investment properties and networking. It’s really no exaggeration to say that cash flow is the lifeblood of any good business. It’s certainly what your bank manager will be looking at. Good property income tracking software can help you to log and track financial commitments such as expenditure and income and put you firmly in control of your bottom line. Regrettably, no matter how thoroughly and carefully you plan out, things can still go wrong. You will no doubt, one day have a property that requires extensive and costly repairs or have tenants who go out of business owing you large amounts in rent and you don’t have a property insurance policy in place too. Whilst it cannot prevent these things from happening, good property software can help you to keep on top of your repair and maintenance obligations. It can also help you to spot, monitor and work with slow payers or tenants in default to minimise the financial risk to your business. If the reminders, notices and revised payment arrangements ultimately fail, then you will be able to evict or sue the tenant. This way, you would have correctly followed procedure and can prove this to the court or other tribunal too. No two property businesses are the same. Make sure you know where your business fits into the market before you hand over any of your hard earned cash for a landlord software package. There are a lot of different products out there. Some are specifically designed and marketed at niche markets and others are more general. Make sure, the one you choose does what you need it to do. Look too for a good after-sales service with a good level of customer service available. Can it grow and develop as your business does? You really do not want to shell out lot of money for a basic package which you may have to replace in a few years time. Know what you want and ask the questions until you are satisfied with the answers you get from the support service team. Choose a good software for landlords product and use it to its full potential, this will help you save on time and money. Be mindful of the fact that a wrong choice will cost you big time. Your software IS my Manager! Each year my accountant comes to my office to discuss my year end accounts and is always impressed and amazed at just how organised I am with my properties. I have a trouble free existence as a Landlord. Just perfect! Order our software and take 90 days to use it. If you don’t believe that it will save you time, money and effort in managing your property business, please tell us and we will give you a full and courteous refund.